BM was also recognized as best Mandated Lead Arranger in the Egyptian banking market and was ranked second best Bookrunner and Mandated Lead Arranger across Africa in Bloomberg’s Global Syndicated Loans League Tables for the third quarter of 2017. Moreover, on the scale of the Middle East and North Africa region, Banque Misr maintained its top ranking among Egyptian banks, ranking at fifth place among Bookrunners and the sixth place among Mandated Lead Arrangers in the MENA region for the third quarter of 2017. 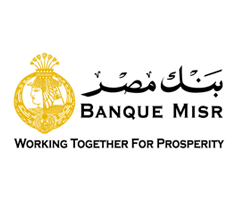 Banque Misr’s role is visible in all economic fields due to its geographic outreach. The bank has about 14,500 employees, serving a large base of more than eight million clients in Egypt, with a total paid-up capital amounting to EGP 15 billion. The bank has about 600 electronically integrated local branches, as well as five branches in the United Arab Emirates and one in France, In addition, the bank boasts a regional and global presence, with subsidiaries in Lebanon and Germany, as well as representative officies in China and Russia and a global network of correspondents.